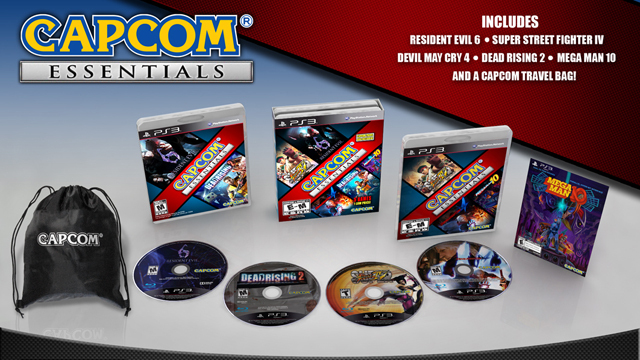 Capcom-Unity just announced the upcoming Capcom Essentials releasing on October 8th for both the PlayStation 3 and Xbox 360. The bundle comes with 5 games (4 Physical copies and one download code) Capcom thinks fans should play or own if they already don’t. Every Essential will also include a Capcom branded travel bag and retail for $59.99.